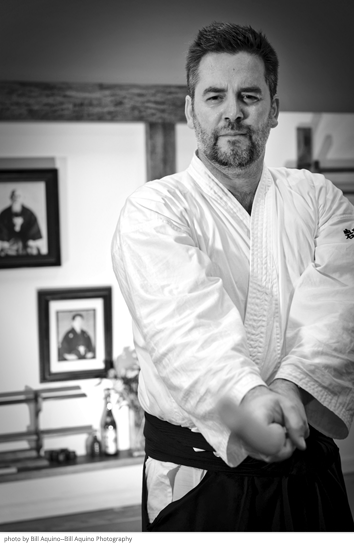 Sensei Mark Larson is one of the legacies of The Late Great Morihiro Saito Shihan who gave Mark Larson the name Takuto in March of 2000. Mark Sensei was told that Takuto『 匠人 』means LEADER–but is different than an ordinary leader. This type of leader receives a tradition, and austerely trains, maintains, instructs, and selflessly shares it with great vigor and spirit in order to keep that particular tradition alive. It is the preeminent leader (or teacher) to preserve a traditional way or craft (i.e. Traditional Aikido). Comparable to this, when it comes to a traditional craft, would be the master carpenter who is entrusted to build a Japanese shrine or temple.